Student favourite Satyaniketan harbours some of the most affordable eateries in town. You can head here for everything from cheesy pastas to chocolate-y shakes or simply just a cup of coffee. Here’s a round-up of the joints we head to the most. Have we missed your favourite? Let us know in the comments section below. 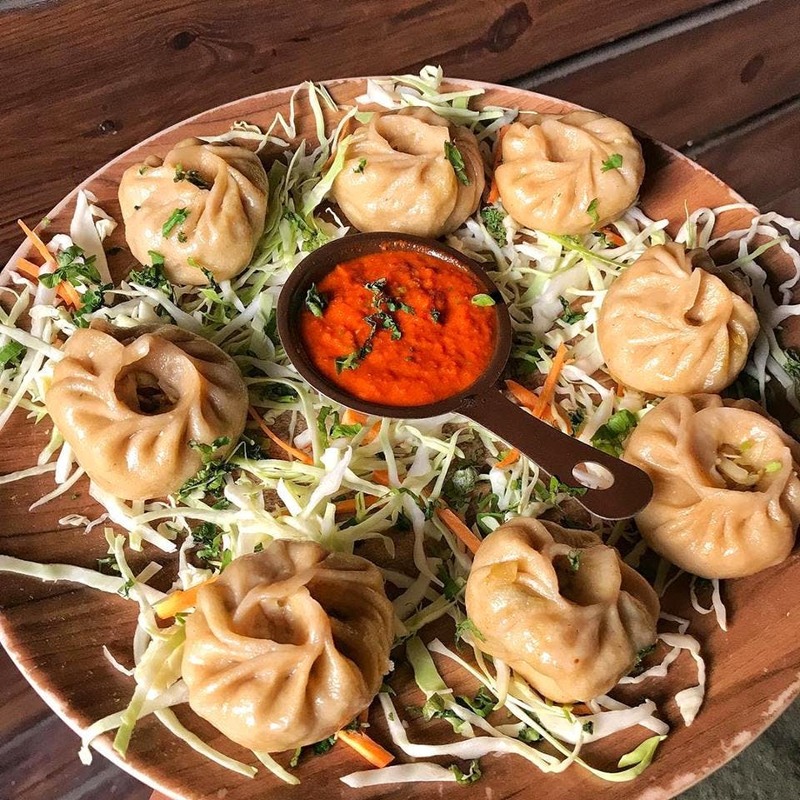 QDs’ signature tandoori and steamed chicken momos are game changers. Don’t believe us? Order a plate of chicken tandoori momos and decide for yourself. One for the wallet! Big Yellow Door, or as it’s better known, BYD, has the best comfort food for the best prices. Their cosy space, filled with matresses to sit on, post-its with glaring reviews on the wall, and fairy lights really complement their drool-worthy baked pizzas and cheesy pastas. Their BYD Bomb Burger has made foodie headlines many a time, so you don’t really need to see a menu when you head there. Wash it down with a Kit-Kat shake and you’re golden (or yellow?). More than anything, Cafeteria & Co. is the feel-good place of the lot. You’ll generally find a waiting since the food here puts people into food comas and you’ll need a minute to get back to reality. Grab a couple of buddies and try their Three Way Fries to knock your foodie socks off. The unconventional Hexizzas and star shaped burgers are just as good to your taste buds as they are to the eyes. Whatever you order, you just cannot go wrong with this place. Managed by differently-abled staff, Echoes’ goodness permeates through their service, food, and ambience alike. It will also go pretty light on the pocket, so there’s essentially zero reasons you shouldn’t go this place. The food—from their cream cheese pasta to the Death by Chocolate shake, is pure heaven. Hard night of partying got the gang starving? No more 24/7 off-the-shelf pizzas. It’s time QRO took care of you with their to-die-for wraps, pizza, wheat momos, and tikkas. The cafe runs till 2am, so you can drop by on your late night drive for a quick bite. Psst! You can also order waffles post midnight (did you also just go OMG?). Maybe you just wanna walk through the market with a delish mutton roll in your hand. That’s where Chowringhee Lane comes in. The widely famous roll joint is for those short hunger bursts and this place is the fix you need. Head over for the best rolls in the area. Affordable and epic food, a decent space, and hospitable staff, you can't go wrong with that combination, and Wood Box has it all. Go here for their cheesy nachos, Herbivore (or Carnivore) Platter and chocolate-y thick shakes. As the name suggests, it's a construction-themed cafe with grungy lights, spare parts wall art and wood/brick walls. While you should definitely go for the ambience, it is their food you'll keep coming back for. Char-grilled Skewers, lasagna, Mac n Cheese and their freakshakes are some of our favourites.